These words from the Marschallin go to the heart of Der Rosenkavalier, which has just opened Glyndebourne’s season in a fabulously entertaining production directed by Richard Jones. The particular kinds of dignity and stillness that Kate Royal brought to the role focused attention on the Marschallin as a damaged woman, newly determined to fend and f–k for herself yet tragic, post Freud and Rohde, Hofmannsthal’s Exhibit A, married fresh from a convent, released by wealth from conventional moral responsibility but caged by privilege. A Pompadour-vision way before Les Liaisons dangereuses. 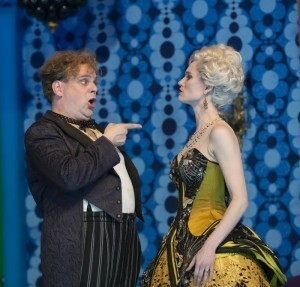 In fact, reading about Madame de Pompadour, it’s hard to believe Hofmannsthal didn’t have her in mind – Her son was nicknamed ‘FanFan’… So in the character of the Marschallin it is perhaps that Strauss and Hofmannsthal meet most neatly where elsewhere it is their differences of idea and origin that provoke a productive tension. As for Robin Ticciati’s conducting: well, it all felt so natural. Neither especially fast or slow, no more indulgent than the score might be thought to require though more relaxed than some older approaches, without ever aiming for the richness of texture of a Thielemann, and with a rather winningly unobtrusive way with the waltz rhythms. They were never milked, but you knew they were there when they needed to be. And the moments of stillness seemed ideally paced. It was perfectly scaled to the house, so it didn’t aspire to the grand rhetoric or driven intensity of someone like Sr Mark Elder in this score. Ticciati was mouthing the words a lot of the time, just to himself, which I take to be a good sign, of someone conducting the text. But I haven’t said anything about the drama, which was the glory of the evening. Jones sets it in or after the period of composition, creating a visually opulent tension between alt-Wien aristo values and nouveau embrace of Jugendstil. I’ve never heard an audience laugh so hard or so freely, though only at the ‘right’ moments, which actually were those parts of the piece (end of Act 2, beginning of Act 3) that usually pall. Dramatically and emotionally, it’s incredibly faithful, with not one wasted gesture though so many that take place away from the main action. Class and relationships are observed with painful, neutral honesty, so that one feels mingled pity and contempt for the Marschallin in Act 3 as she attempts to manoeuvre Ochs into a corner, and simultaneously affection and disgust for Ochs himself, as he gamely withdraws, wiser yet no better; exasperation and curdling suspicion of Octavian’s ganging up on Ochs with the Marschallin while trying to play the hero; and horror at Sophie’s spoilt history and spoilt wedding day. All at the same time. Royal’s closing ‘Ja Ja’, to Faninal’s slightly hopeless, bewildered venture that allthose young people behave like that, was a masterpiece of understatement. And not only did Sophie look 16, but Octavian looks 17, which is surely more unusual, all pudgy teenager, making a thing of needing to shave. Details are everything here. Dashing off to search for something to pull on as Mariandel, Octavian comes back in a pair of slightly grubby white heels that have surely been pulled from the back of the Marschallin’s capacious shoe-cupboard. 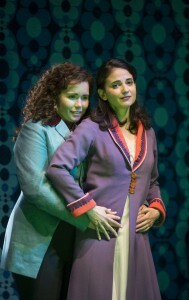 It was said by others further back in the house that vocally speaking, Tara Erraught (Octavian) stole the show. For my part, I was no less taken with the fined-down vulnerability of Teodora Gheorghiu’s Sophie. Something that strikes me more every time I hear the piece is how naturally the piece fits musically between Elektra and Die Frau ohne Schatten, and how obviously the language moves from one to the next to the other. Act 3 especially presents a prelude hardly a million miles from Elektra’s scrabbling around for the axe, and yet when things turn bad for Ochs, the persistent ‘fate’ motif modelled on Beethoven 5 is orchestrated with Frau-like grandeur. Indeed there’s a sense in which the piece doesn’t really climax with the Trio but the texture continually fines down towards and past it. Mariandel’s phrases are positively Expressionistic; and in that context the whole question of parody in the piece seems even more problematic than it generally is in Strauss. While I’m barely prepared even to debate with the contention, heard from time to time, that the piece is (designedly) a ‘sumptuous triviality’, I’m sure that the piece can be a ‘comedy for music’ in the same sense as Così fan tutte is, dealing with profound but superficially absurd situations with an often light touch. And if we don’t take Ochs and his downfall quite seriously, while being able to laugh at the manner of its happening, then we place ourselves at odds with the music – which seems far too intricately worked to be tossed off as a joke, however elaborate. But then I’m not Strauss. Do you think Strauss takes at all seriously Hofmannsthal’s determination that the piece should be set in 1785? I don’t. Otherwise he would have provided moreBourgeois Gentilhomme music – Hofmannsthal finally got what he wanted from Strauss with Ariadne auf Naxos in that sense. 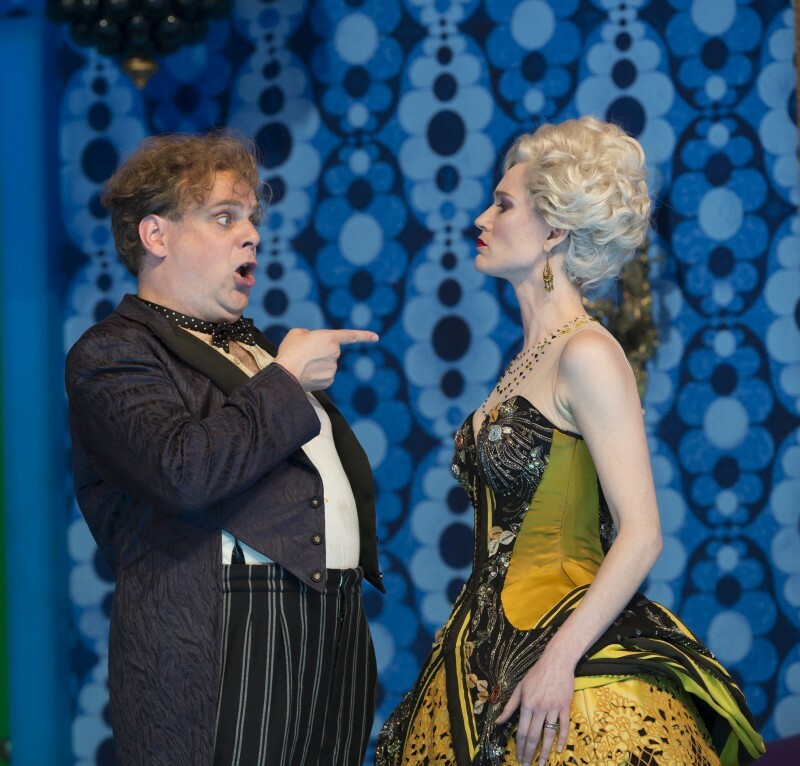 Whereas in Rosenkavalier, the music’s so at odds with the original dramatic mise-en-scene, in terms of weight and power, that, really, who do we listen to? Strauss or Hofmannsthal? Let’s take the very end of the opera as an instance of dealing with profound matters with a light touch. Its effect depends on our being moved by the love that Octavian and Sophie feel – while everything around them tells us that this is no happy ending. ‘Es ist ein Traum’, they sing, and so it is, no more real an experience than the nightmare Ochs believes himself to suffer earlier in the act. This blurring of lines between dream and reality is absolutely contemporary to the composition, not at all 18th century, and needs no italicising or ironising in the interpretation of the lullaby that they sing: it is a dream and they place themselves in it. Who, in any case, believes a 15-year-old girl and a 17-year-old boy when they declare that they have found true love? The illusory, temporary nature of their happiness is only underscored by the presence of the Marschallin, whose interpretation, Strauss declares, should make clear that Octavian is neither her first or her last bit on the side. She is not a figure of wisdom or nobility sitting above the seedy or impetuous actions around her, but necessarily engaged to defend her own status and privilege when it is placed under threat by both her own feelings (as she casts off Octavian in the knowledge that she cannot sustain a loving relationship with him) and external events (which are initially propitious and convenient in the shape of Ochs’ arrival, presenting the perfect opportunity to offload Octavian, before turning unpredictably towards disgrace as, in Act 3, her strategy is understood by Ochs). Jones’ s production could prompt a thousand such lines of enquiry. See it if you can.The Daily Telegraph will host a live stream of the performance at 1630 BST on Sunday 8 June. Posted on May 19, 2014 July 10, 2014 by Peter Quantrill	This entry was tagged Der Rosenkavalier, Richard Jones, Richard Strauss, Teodora Gheorghiu. Bookmark the permalink.